How was your Christmas celebration? Christmas doesn't necessary have to be celebrated with Western dishes especially when you're living in Malaysia. 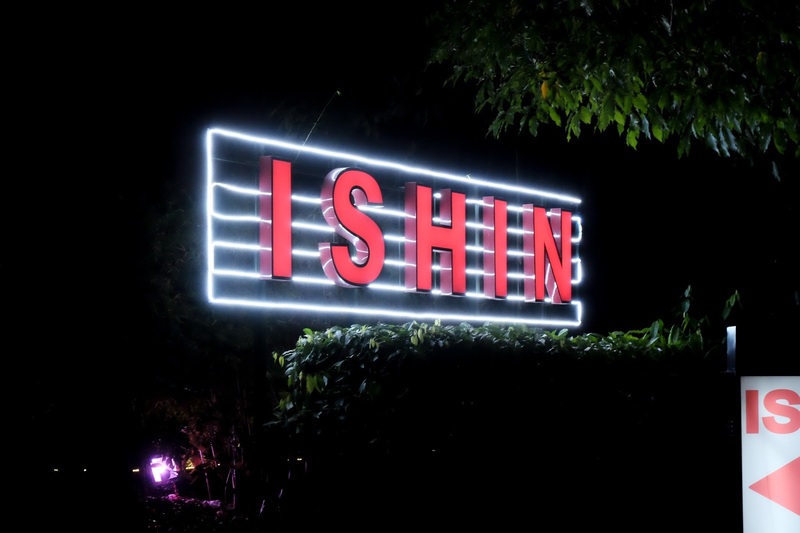 Why not get a Japanese twist with the amazing Christmas & New Year Eve Menu at Ishin Japanese Dining. Start off your meal with crispy and flavourful Kani Cream Croquette Sarada which is well battered and seasoned on top of some salad. 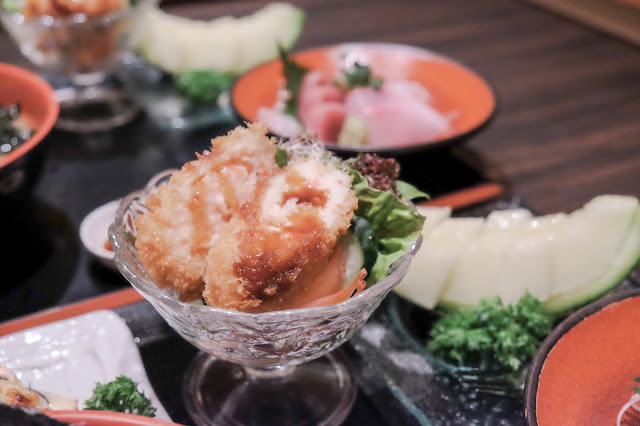 I tend to stay away from croquette because it can be greasy and heavy but surprisingly, the Kani Cream Croquette was a pleasant start to my meal. Crispy and well seasoned, it was so creamy on the inside and bursting with flavor. 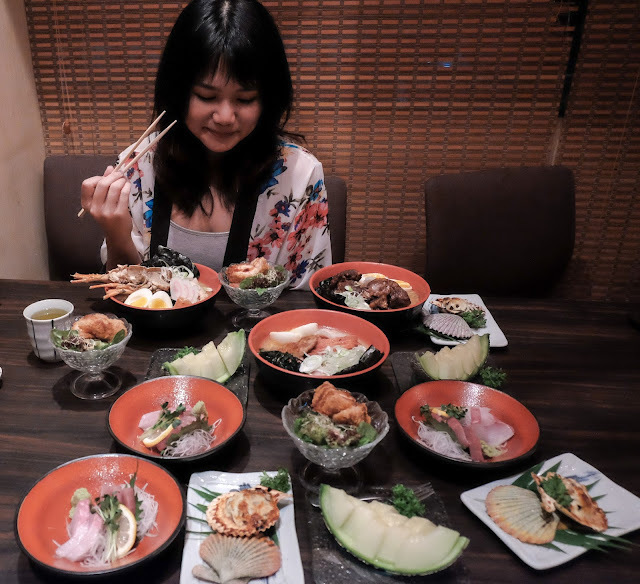 My eyes were drawn to the Sashimi included in the Christmas Menu. 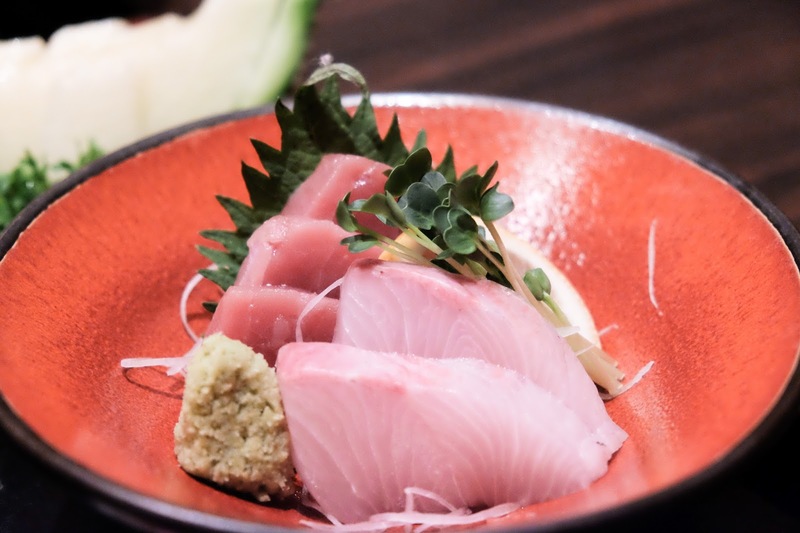 Just look at the thick slices of Japan Maguro and Kampachi. I can just live on sashimi alone especially if it is as good as the ones served at Ishin Japanese Dining. The slices were thick and fresh that even the pug who does not like Maguro actually finished his plate of sashimi. 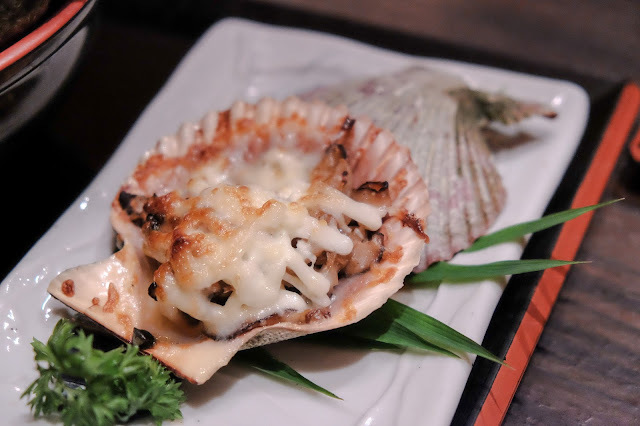 The Japan Hiogigai Cheese Yaki taste as good as it looks. 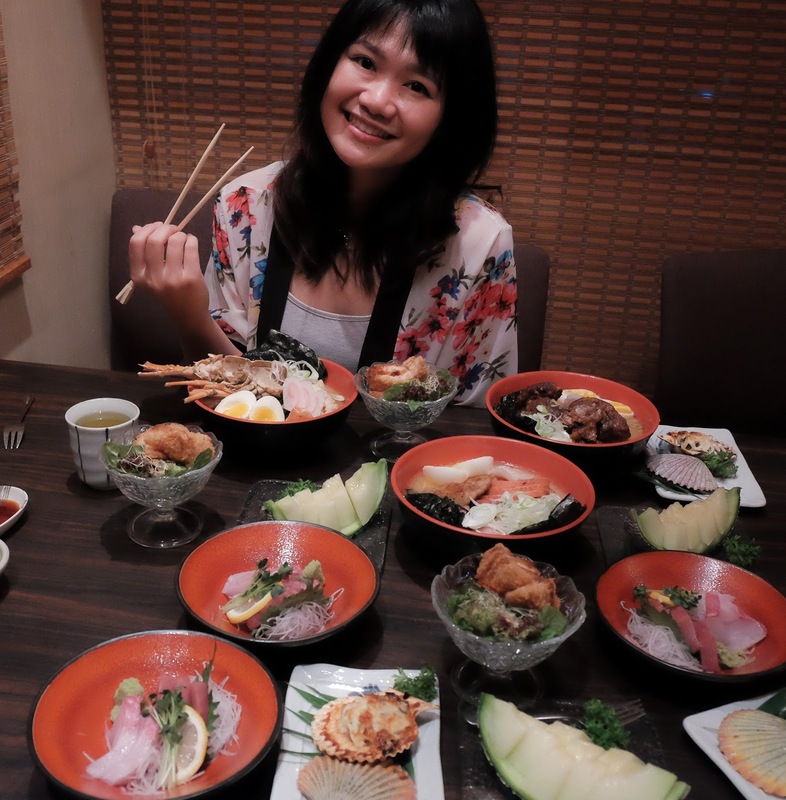 Not too overpowered by the cheese, the Japan Hiogigai was tender and juicy; well seasoned with the chard cheese on top. This was definitely a good start to the meal. Moving on to the Main Course, you get to select from three different Ramen - Japan Wagyu Beef Kakuni, Braised Australian Lobster or Pan Fried French Duck Liver and Duck Breast. I will be honest, that I totally underestimated the Christmas Menu - UNTIL I saw the ingredients that they used and the amount that they actually served us. 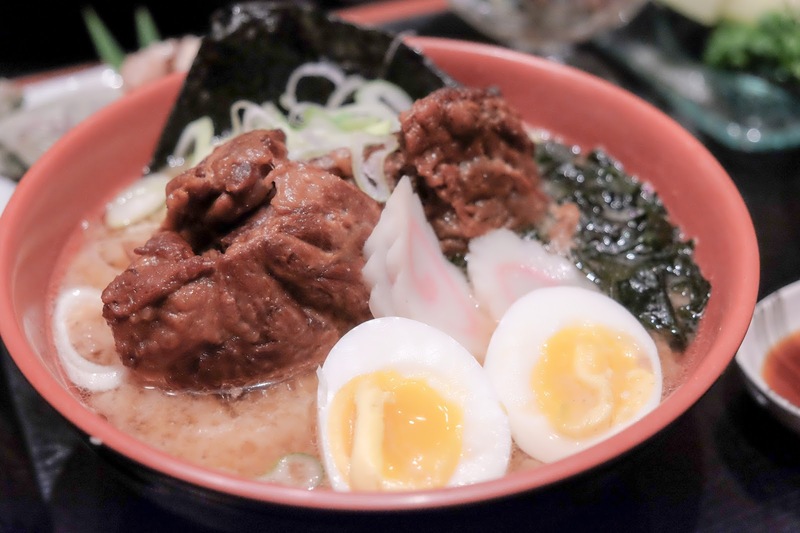 We started with the Japan Wagyu Beef Kakuni which is the most amazing Beef Ramen I've eaten. Like literally, the meat just melts in your mouth. 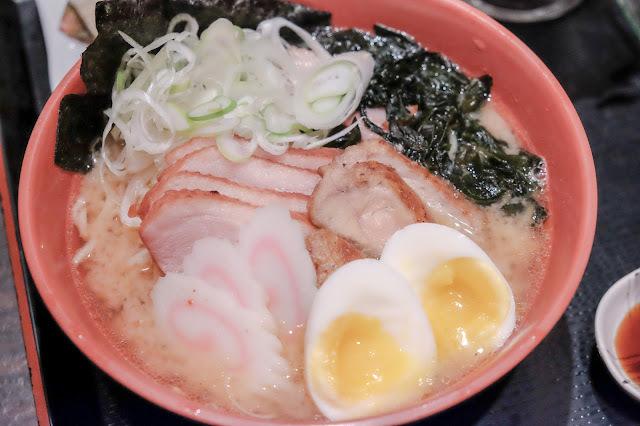 It was perfectly well prepared and every spoonful was just amazing. 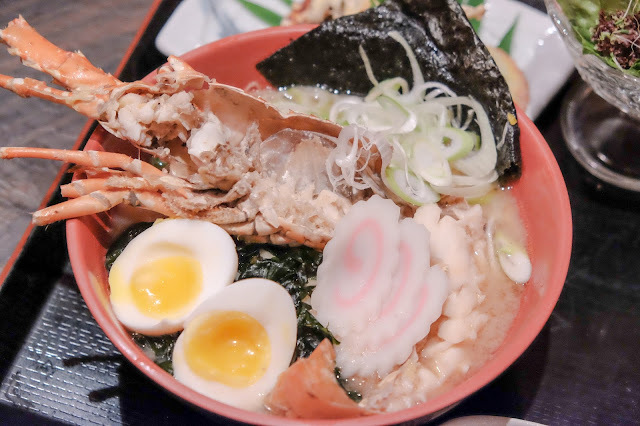 The broth was packed with flavor and noodles bouncy, I don't think I can say anything bad about this dish. 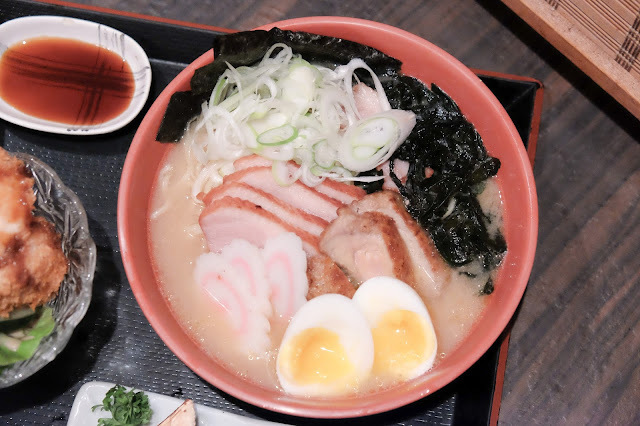 With high expectations, we dug into the Pan Fried French Duck Liver and Duck Breast Ramen Soup. I love duck.. like seriously it is not easy to get well prepared duck liver or duck breast because duck can be a tricky protein to cook. Too long and it gets tough and rubbery which will just spoil the whole dish. The pan fried duck liver and duck breast is slightly smokey and very flavorful which some might find a bit salty. But pair it with the ramen and the soup, and it is well balanced. Lastly, of course we have to save the last for the best as we tried the Braised Australian Lobster. Really a fusion dish as you get a huge Australian Lobster in your ramen. Not an everyday sight that you will enjoy. The lobster is well seasoned though my personal preference I preferred the Japan Wagyu Beef Kakuni, just because I do not like lobsters. Otherwise, my dining partner did enjoy the braised Australian Lobster. A good meal does not end without some desserts and oh boy! Ishin Japanese Dining Christmas Menu comes with a slice of Japanese Musk Melon which is actually RM68 in their menu. 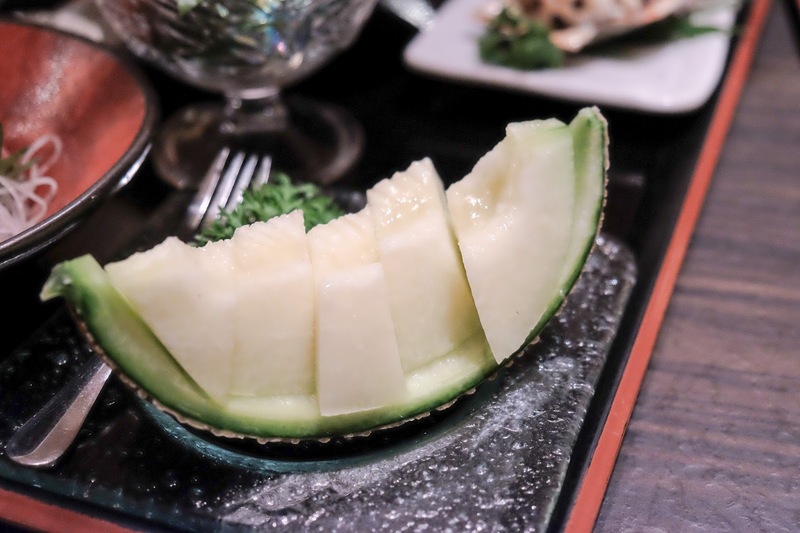 You know those super expensive Japanese melon that you see online... yes you can actually have a taste of it in the Christmas Menu. And yes, I really enjoyed the Melon - it isn't super sickening sweet like sugar sweet but more of a natural sweetness to it. 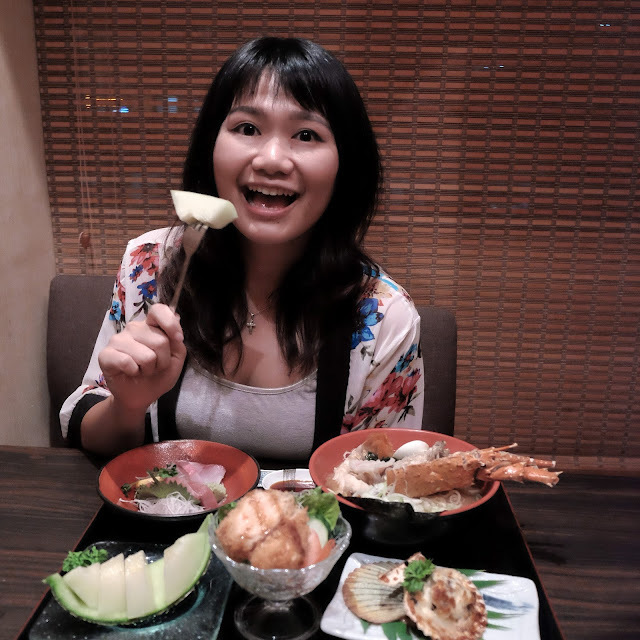 If you ask me, I would enjoy the Melon first before digging into the other savoury items. Or maybe have a few pieces and save some for dessert. 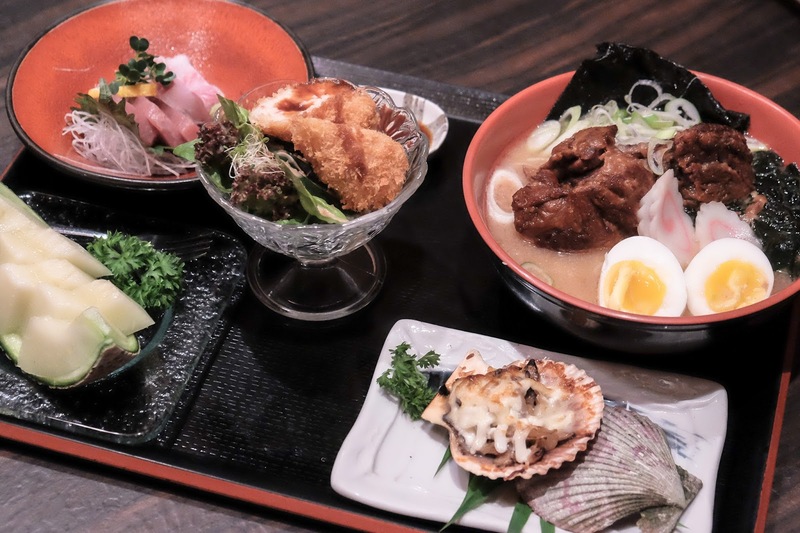 I definitely enjoyed my meal at Ishin Japanese Dining so don't miss out on their Christmas Menu dishes because even the pug said he wants to go back to eat. So that means it's really stamped approved good! Off Jalan Kelang Lama, 58000 Kuala Lumpur. For reservation, please call +603-7980 8228. 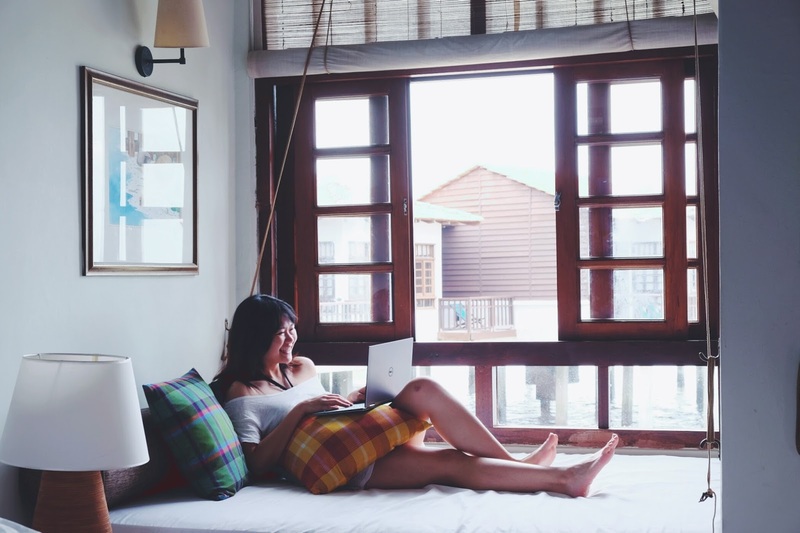 2017 is coming to an end, and there's still another long weekend to really take a rest before starting a new year. Long weekends can be tiring if you're travelling to far locations. 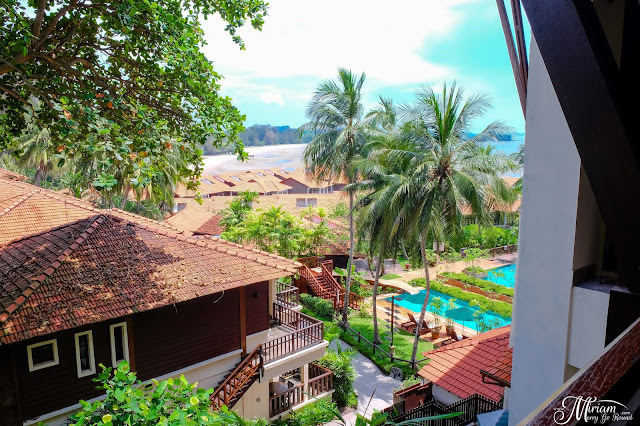 If you're looking for a quiet relaxing getaway by the seaside, let me recommend Avillion Port Dickson. A few weeks back, I was going through some pretty stressful moments and burned out from work. This was when I decided I needed a break. Just some quiet time without any noise, to take my mind off things. I didn't want to travel far so the nearest place I thought of was Port Dickson. I've been to several resorts in Port Dickson and I used to visit my sister who was studying there a few years back. Port Dickson isn't a foreign place to me so I decided to book a getaway at Avillion Port Dickson. 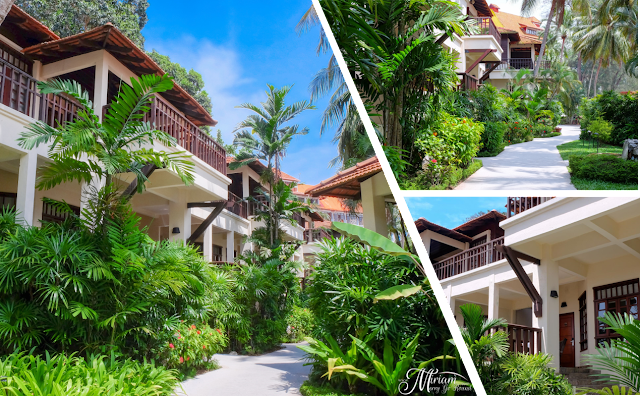 Located by the Straits of Malacca, Avillion Port Dickson is a quaint resort that welcomes you in with lush greenery. 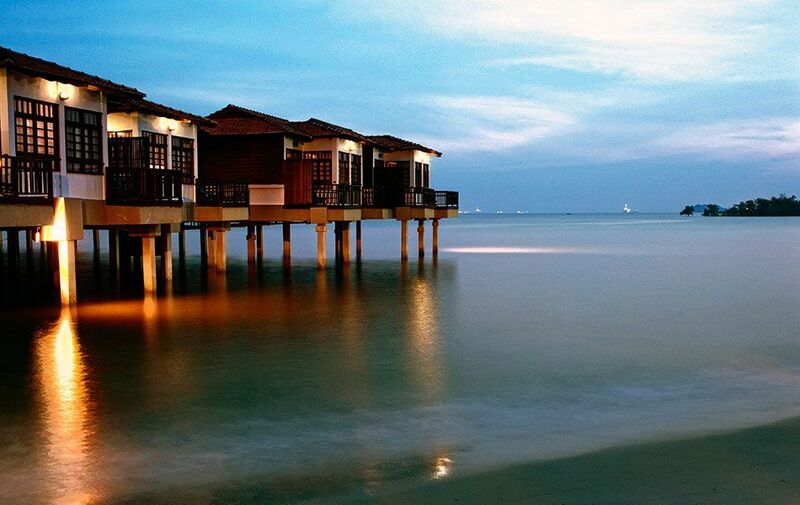 We got the Avillion Water Chalet which sits on stilts above the water, inspired by traditional Malay fishing village. 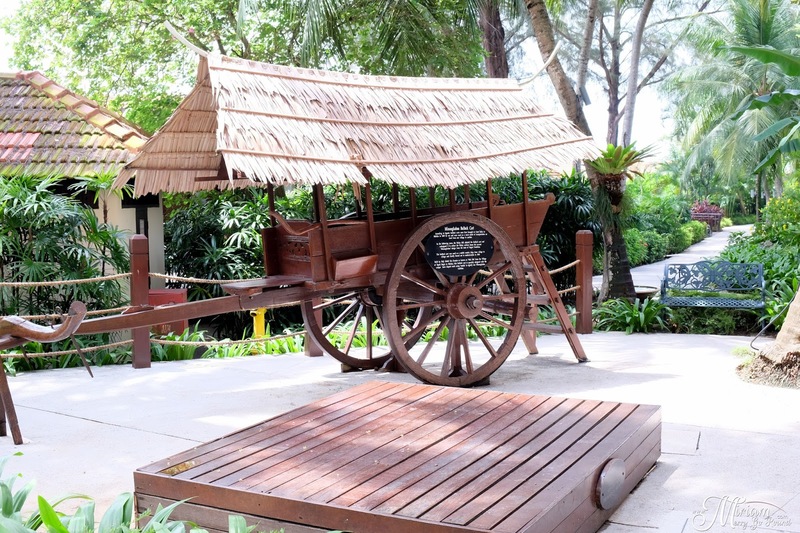 The Water Chalet is furnished with a 4-poster bed, a Pangkin daybed and also an open bathroom with rain shower. The sound of the waves below you really transport you from the hustle and bustle of city living. 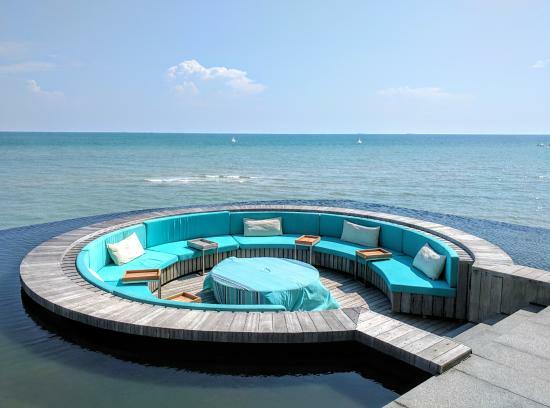 I love the Pangkin daybed which is just perfect to lounge around while you look out to the open sea. If you booked the room that is not blocked by any other rooms, you will be able to enjoy the sunset/sunrise too. The open bathroom with rain shower is huge! 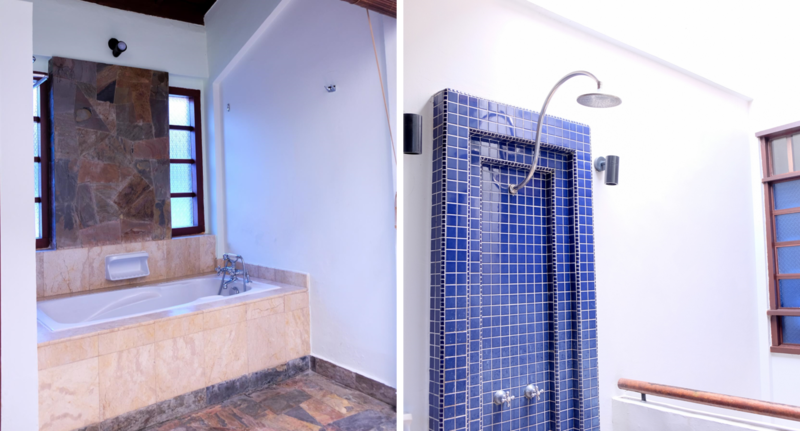 You can opt to shower using the rain shower while listening to the soothing sounds of the ocean or dip into the bathtub for a relaxing session. 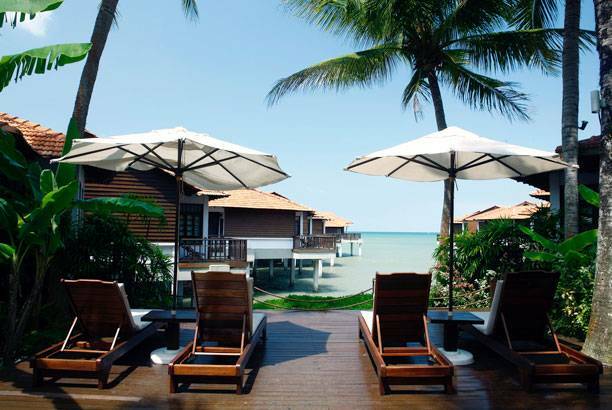 Avillion Port Dickson Resort has everything you would ever need for a nice getaway. They have three huge pools - Village Pool, Kids Pool and Coachin Pool. 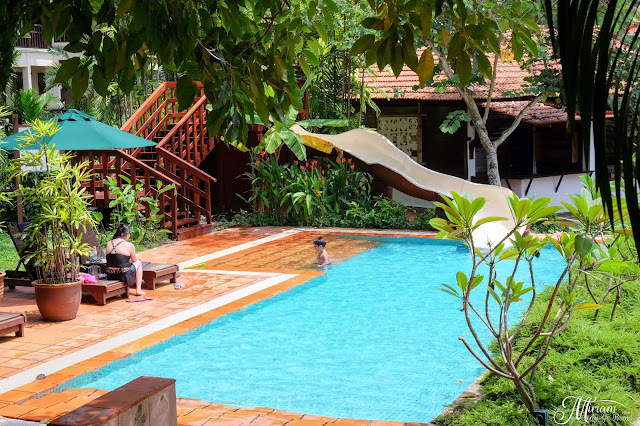 A lap pool located at the Northern wing, the exclusive Cochin Pool is strictly adults-only, providing a peaceful retreat for those wishing to relax under the sun with a good book in hand. 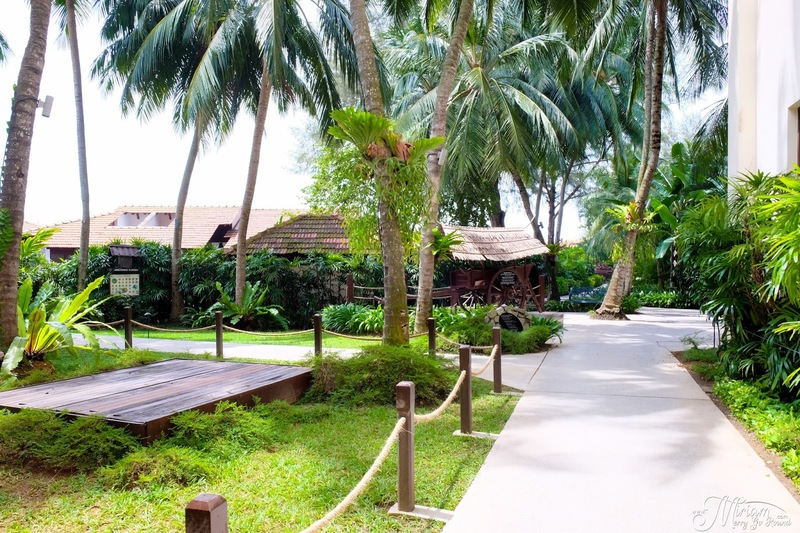 Surrounded by day beds and sun lounges, it is really the perfect refuge for a tranquil afternoon. 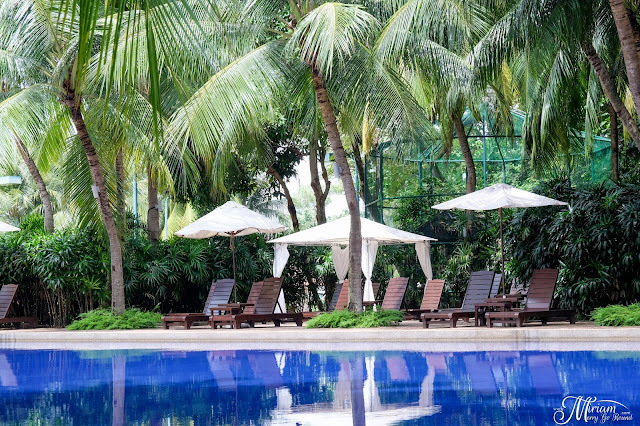 Just imagine lazing by the pool, with greenery around you and just relaxing. 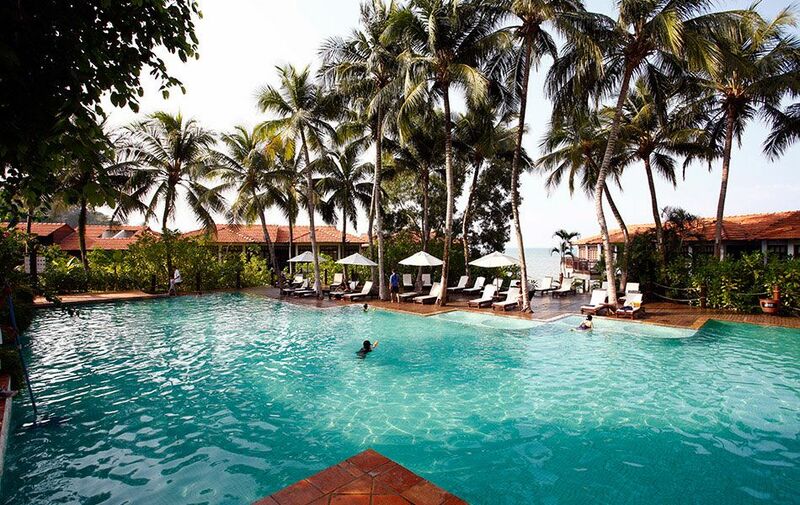 Take a dip when you feel hot or even a midnight swim because it is opened 24 hours! Yes finally a hotel that does not close their pool after 10pm. But for the ultimate relaxation, check out AviSpa - a sanctuary of seclusion from daily life. With 7 luxury spa suites with 2 couple suites, 1 premium suite and 4 suites, floating verandas and baths with unparallel views like no other. 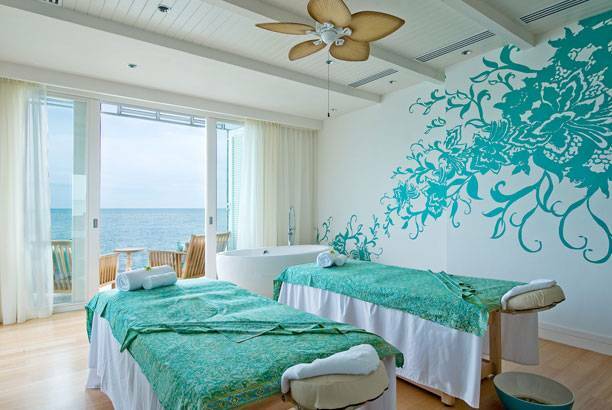 soothing treatment suites with luxurious spa beds will put you into bliss even before your treatments begins. For dining, treat yourself at aVi Lounge because it is just perfect. 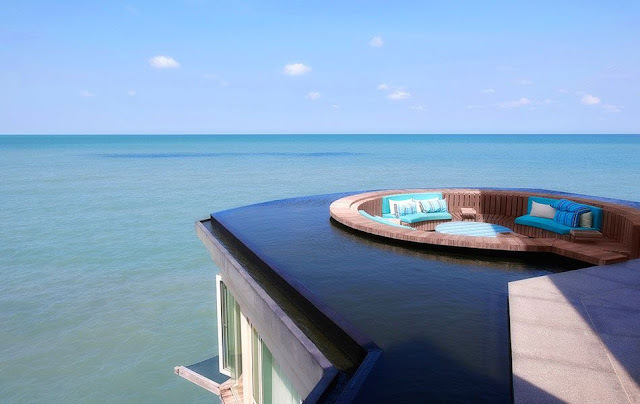 The iconic floating lounge exudes a sense of calm. 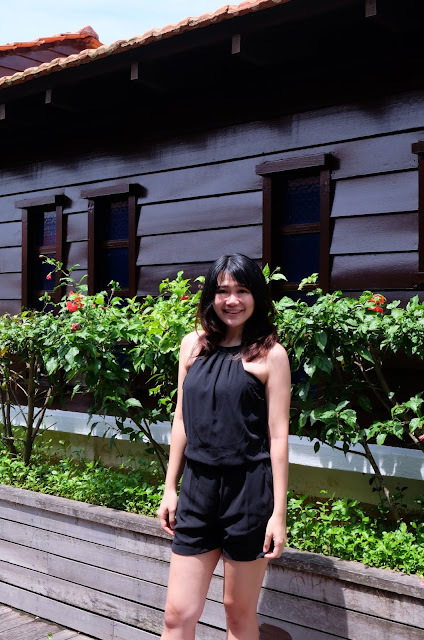 Open for breakfast, sunset drinks and private events daily, this stylish and modern lounge expresses its peranakan heritage in a trendsetting language. Can you just look at that amazing view! Your room would most probably come with breakfast which you can enjoy at Village Court by the pool. It offers a buzzing ambience and is a popular meeting place to spend quality time with your family and friends, day and night. Village Court serves around-the-clock, from buffet breakfast spread, appetizers and snacks to entrees, pastas, pizzas and local delights. 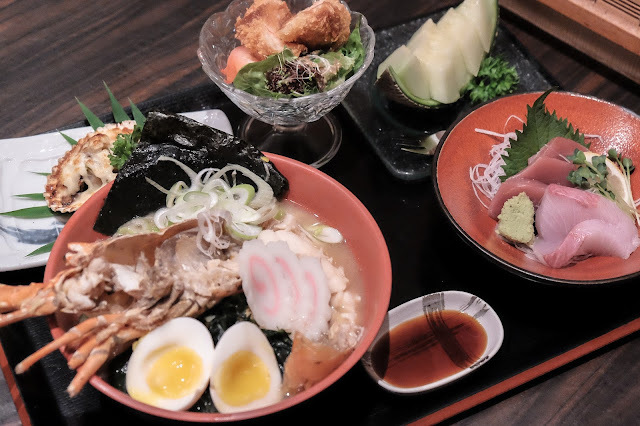 Meals are prepared with intricate care and fresh ingredients to tantalize your taste buds. 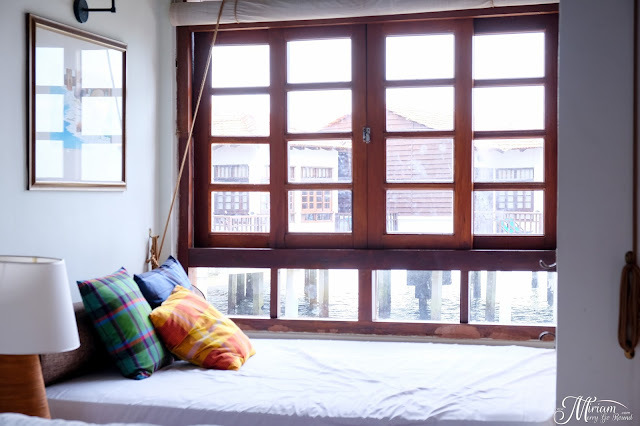 What a good way to reduce stress as you fish from any balcony over the water and enjoy the serene and calm milieu as the cool sea breeze caresses your skin. 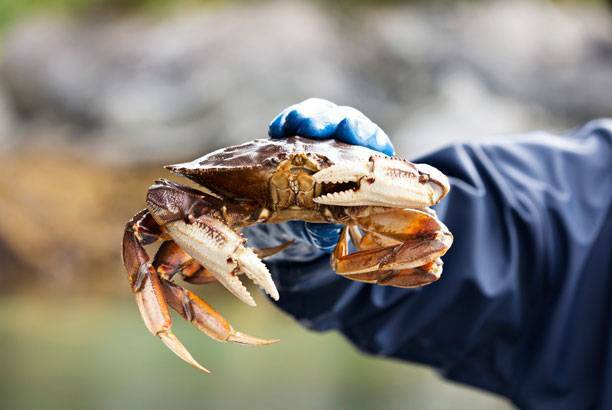 The low tides are ideal times for crabbing, when the crustaceans converge to our shores. 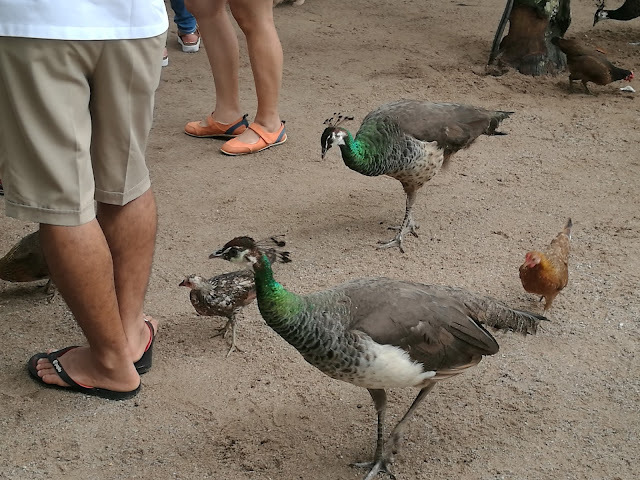 Come and experience a collection of various species of birds from South African peacocks to our resort-hatched hens. 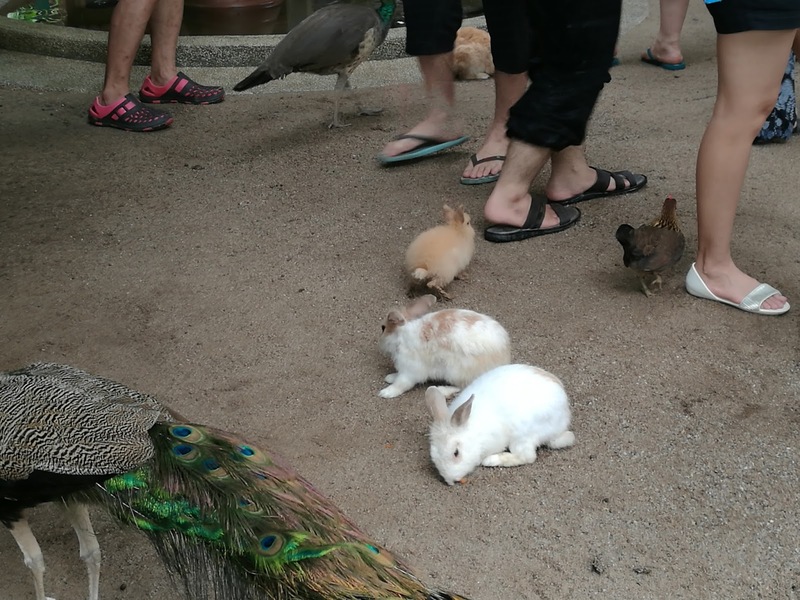 A visit to the Pet Farm is a must for children and animal lovers. There is a large number of animals and birds such as rabbits, peacocks and peahens, tortoises, chicks and more. 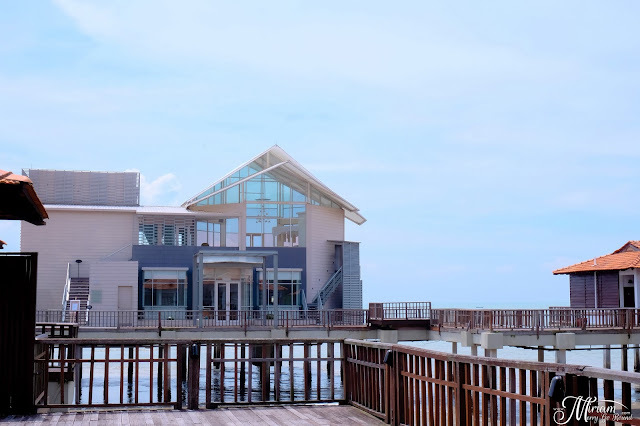 Riau Beach Coupled with the water sports facilities provided by the Recreation Department, you will want to try out the canoe, water bee and Hydro-bike, or simply get your feet on the soft white sandy beach as you take a romantic evening stroll. 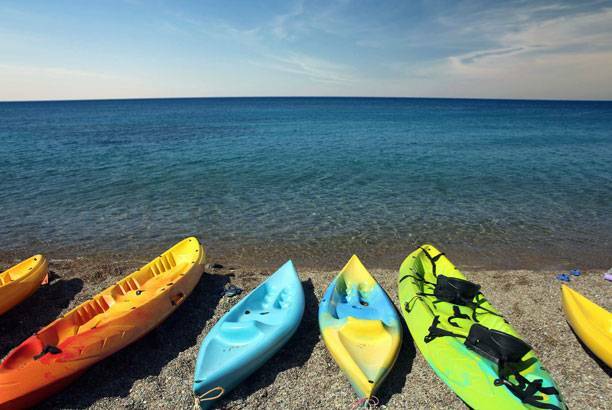 They offer non-motorized and environmental friendly water sports such as Kayak and Windsurfing facilities for adventure lovers. With warm and calm sea water all year round, you're sure to get your body and feet wet for a good reason! 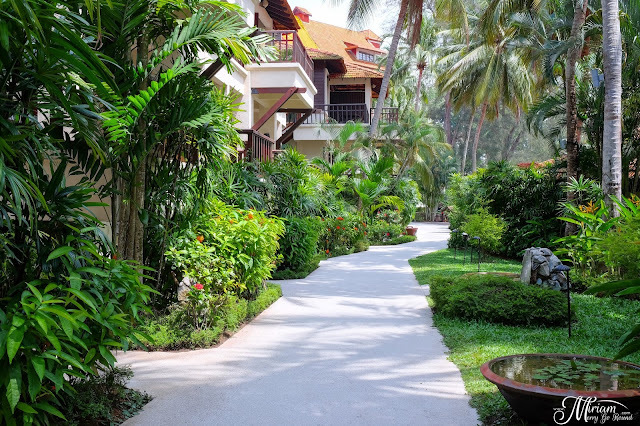 Nature lovers and the health conscious will love our Nature's Walk walking path. Follow our Footsteps trail that starts from the bullock cart area and take a relaxing stroll as you learn about traditional village life of before. There are several Lookout Points around the resort as well with deck chairs for you to just relax with the cool sea breeze while looking out to the horizons. 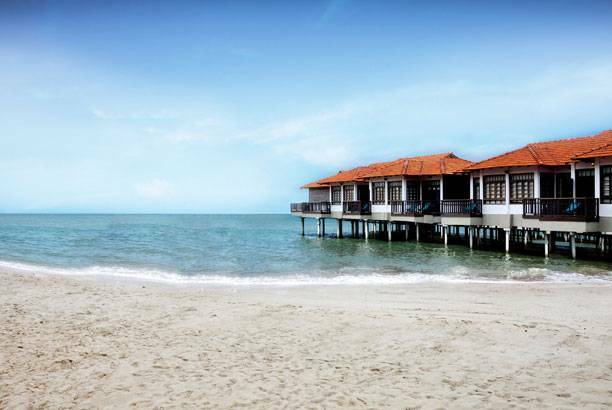 These locations are the perfect location to watch sunsets or sunrise with your loved ones. 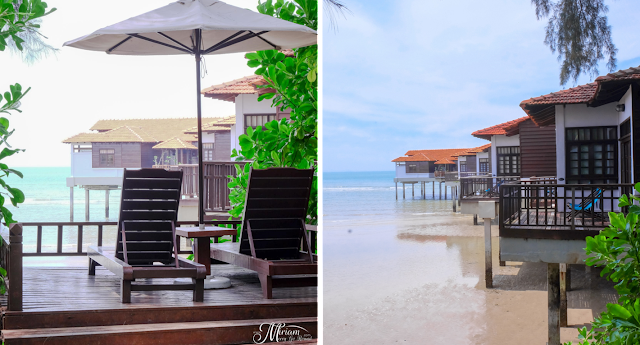 If you thought that Avillion Port Dickson only has Water Chalets you are wrong because there are also Garden Chalets too! 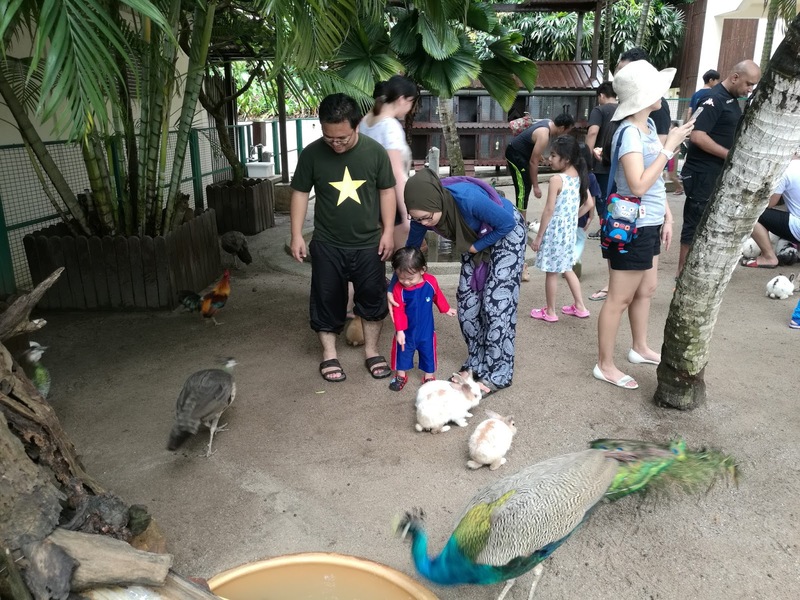 The Garden Chalet is an all-time favourite for families. 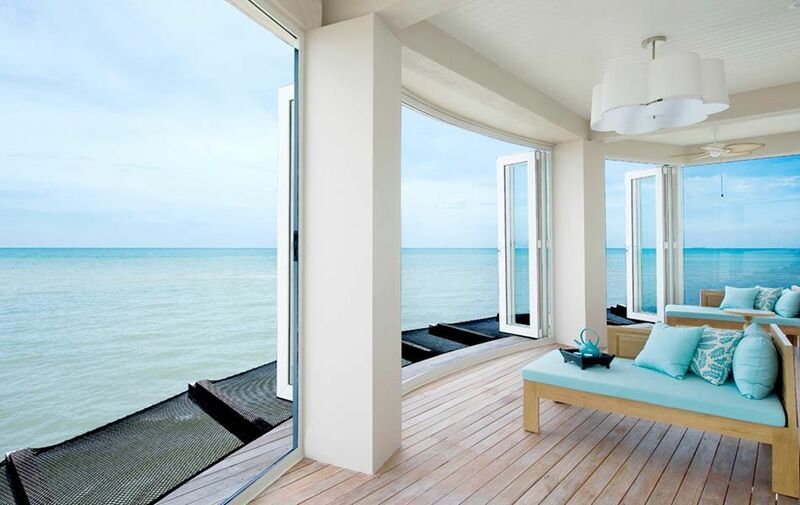 It offers a refreshing garden view for guests who adore being surrounded by nature. Whether it is on the ground floor or the first floor, each Garden Chalet comes with a private balcony that overlooks the beautifully-landscaped garden. 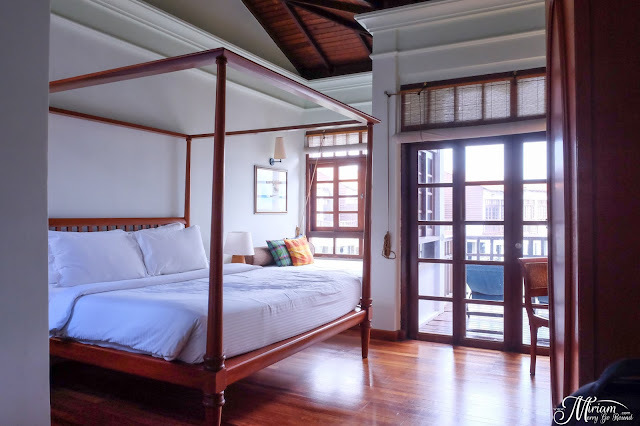 Each room has either a 4-poster King Sized Bed or Twin-bedded, Pangkin Daybed with a private balcony plus ensuite bathroom with separate bath tub, standing shower and toilet. Perfect to accommodate up to 3 adults or 2 adults with 1 child. If you prefer greenery, this is the perfect place to be because you can enjoy both the Garden Chalet as well as the beautiful seaview.